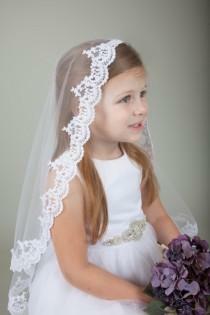 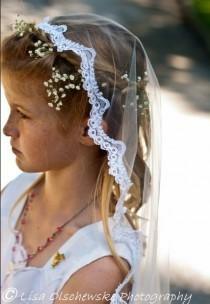 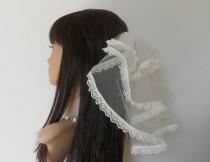 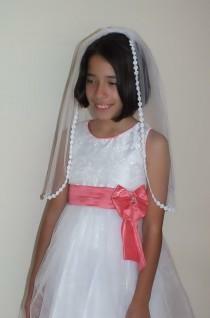 Lace Communion Veil, Lace Veil, First Communion Veil, Baptism Veil, Confirmation Veil, White Communion Veil, Fast Shipping! 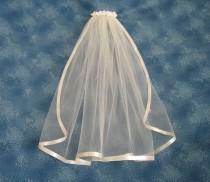 This is a simple rolled edge veil. 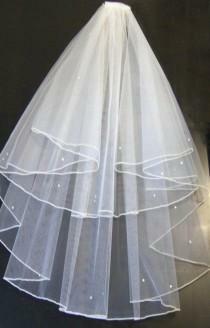 It measure 27 inches in length from top to bottom. 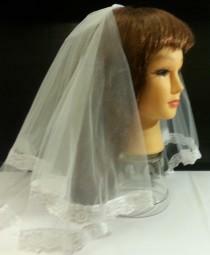 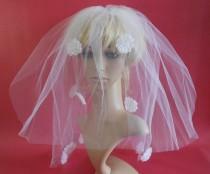 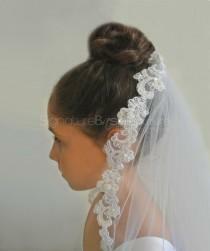 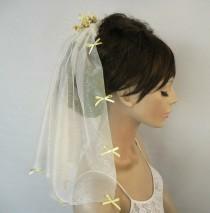 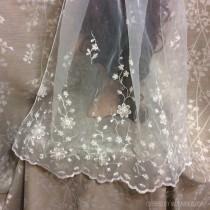 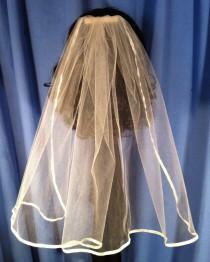 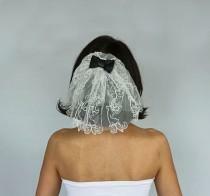 Since the veil is HAND MADE when you place your order, Your veil may look slightly different. 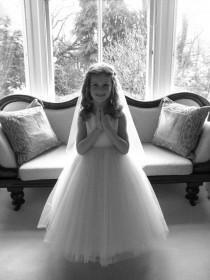 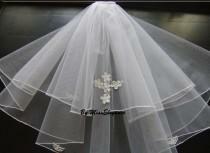 First communion Veil. 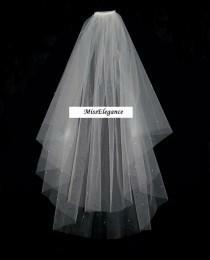 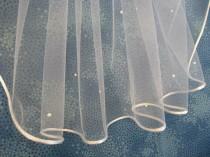 Made of high-quality BRIDAL ILLUSION tulle, with scalloped lace sewn all around the oval shape. 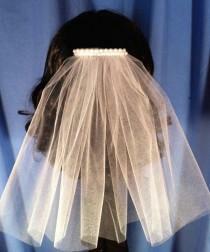 A metal comb is affixed to the veil for ease in use. 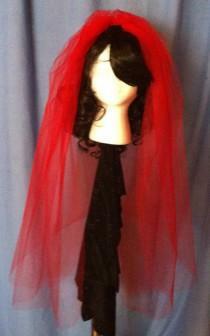 Approximate size is 20" wide by 22: Long. 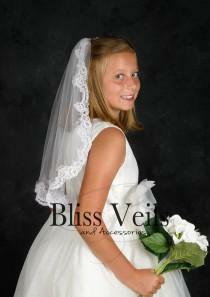 First Communion White Satin Flower on a Sheer Bow Veil with Ribbon Streamers and Pearls. 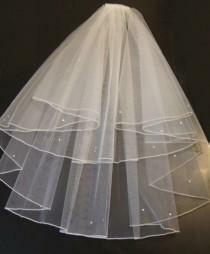 New. 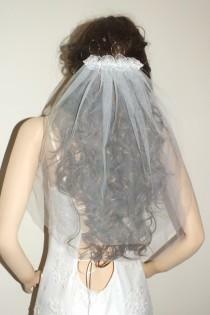 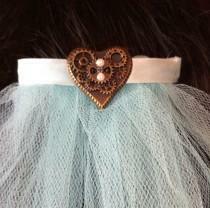 Satin Ribbon, and Sheer and Pearl streamers cascade down the veil. 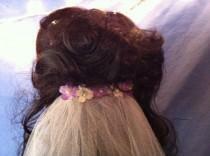 It is attached to a french clip or a comb. 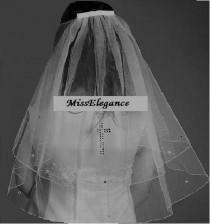 The one tiered edged veil is approx. 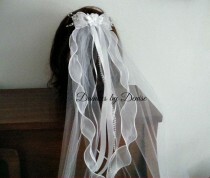 20"
PENCIL EDGE veil, Bridal Veil ,WHITE 2 tier veil,Wedding veil,Communion Veil, Hen night veil.Pencil edge veil with detachable comb & Loops. 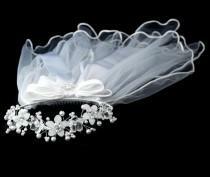 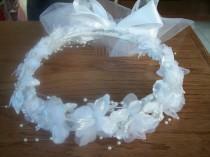 Wedding, bridal, communion custom designed headpiece. 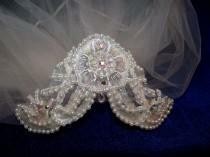 Lace with pearls, crystals, sequins with aurora crystal drop. 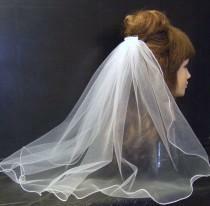 Veil not included. 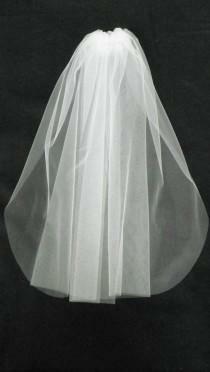 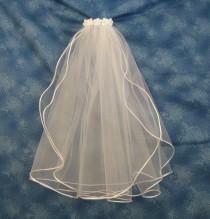 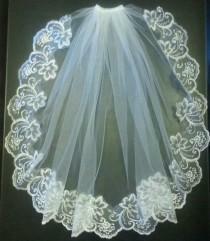 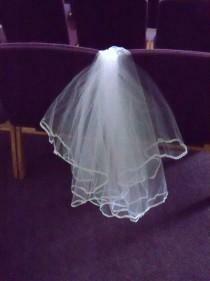 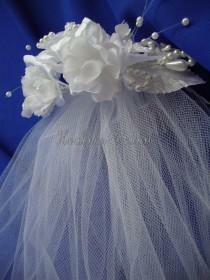 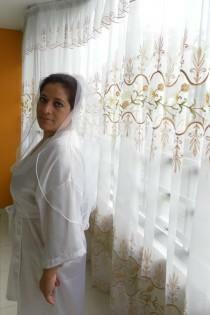 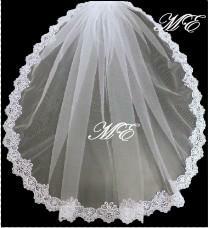 Communion Veil Baptism 25 inches long, White, Ivory,Super deal.